The folks at Corecell Technologies have achieved something remarkable; made getting a swimsuit costume for a character such a chore that I just can't be bothered. In Crazy Strike Bowling EX you earn points for unlocking costumes by playing games, earning a "prize" point per point earned playing ten pin bowling. That works out at a maximum of 300 points per game, since the best score you can get in 10 pin bowling is 300. The swimsuits cost 6,000 points. Even if you play absolutely perfectly in every game (and you won't), you're looking at 20 games to get that swimsuit, assuming that you don't buy any other costumes or accessories for your character. And if you play that well, that consistently, then by the time you've unlocked that costume, there's just nothing left to do in the game so you won't use it anyway. 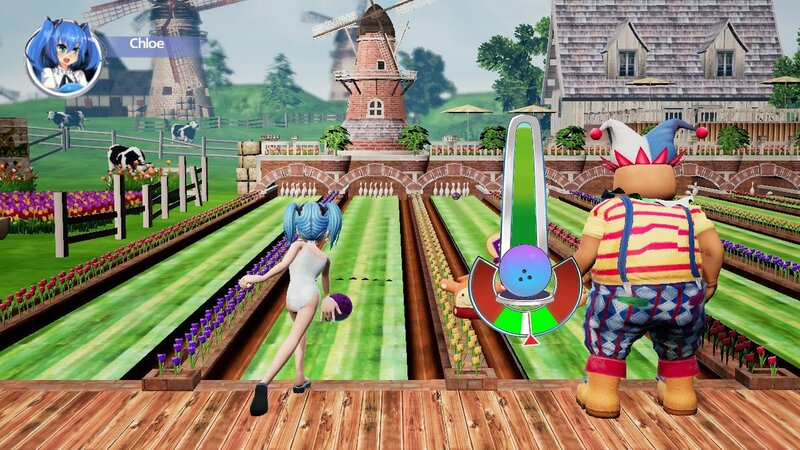 I open this review by talking about the swimsuits, because the costuming and customisation of Crazy Strike Bowling is meant to be a huge part of the game's appeal. 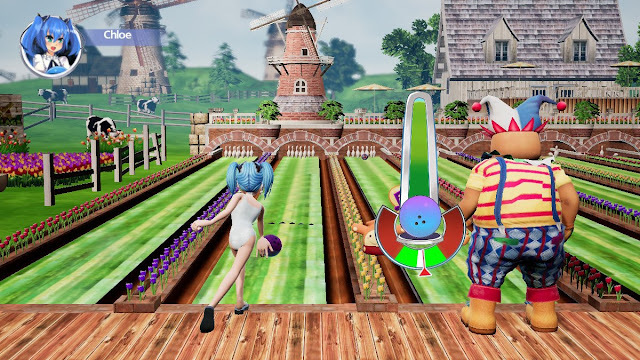 The main mode is bog-standard ten pin bowling, and the crazy costumes and colourful cast are meant to be the "value-add" that helps to elevate the game. 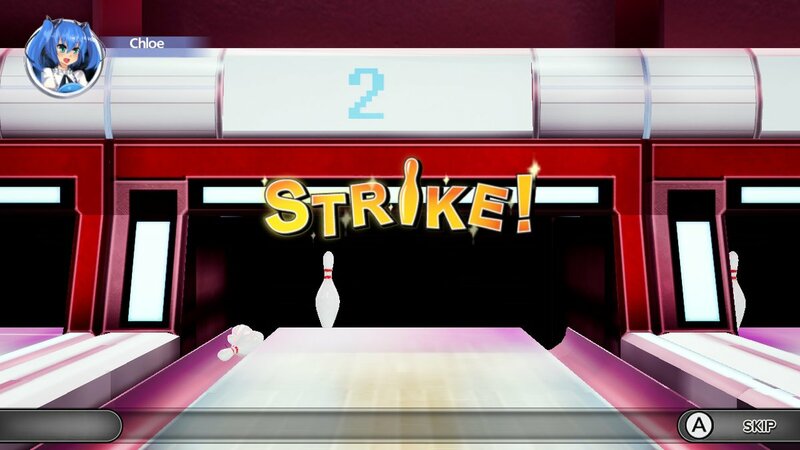 In fairness to Crazy Strike Bowling, the cast is mildly enjoyable; each character has their own unique personalities, and they have cute little animations for their strikes and spares. There's even a twintails girl. I went in do very looking forward to getting her swimsuit. But then the grind hits, and because you earn stuff so slowly, you can't help but pay attention to the core bowling engine instead. That's a problem because Crazy Strike Bowling's bowling is... not particularly inspiring. Throwing the ball down the alley is standard for this kind of sports game; you start by pressing a button to determine how powerfully you throw the ball, and then a second button to determine accuracy. An accurate throw will head in the precise direction that you tossed the ball. Being even slightly out from perfect accuracy will send it off course wildly. It's really not hard to master this system. You need to time both inputs, because a meter continues to fill up and then diminishes, so if you time it wrong you'll "select" a less than optimal power or direction, but the mechanic works so slowly that timing things perfectly isn't a challenge on any level. On the other hand, the skill and technique of ten pin bowling was never about throwing a ball in a straight line. It's in placing spin on the ball in order to hit the pins at the other end at just the right angle to give yourself a much better chance of a strike. Serious bowlers spend years and years trying to master this technique, and it's an essential element of any good bowling video game. Unfortunately, Crazy Strike Bowling messes this mechanic up entirely. The spin is added to the ball in a hopelessly inaccurate and overly exaggerated fashion, to the point where I gave up on even trying within the span of my first game. Thanks to greatly simplified physics, it's too easy to get strikes from good, accurate straight bowling anyway, so there's never an incentive to really work to get better. In other words, Crazy Strike Bowling can be mastered within the span of around one or two rounds. I scored in excess of 250 in my third round, and while that's not "quite" a perfect 300, for anyone who knows anything about ten pin bowling, once you're getting over 250 with every outing, you've effectively mastered the game. 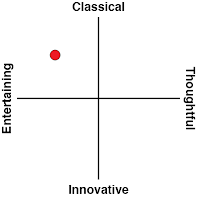 To try and hide this stunning lack of depth, there is some nice variety in gameplay modes. There's a "crazy" version of standard ten pin bowling, which adds obstacles and bumpers on to the alley, and gives you access to powerups. It's a enjoyable enough alternative, but rather than enhancing the depth of the game, these features, if anything, make the game even more shallow and arbitrary in design. There's also a versus mode, where you compete against one other player to try and knock down a number of sets of pins the quickest. This is actually a nice touch, since the addition of another player adds an element of speed pressure to the proceedings, and where you feel like you have to play fast, you're also going to be pressured into making mistakes. Finally, there's a "challenge mode", which tasks you with dealing with specific circumstances that make the core action of bowling more difficult. Challenge mode is meant to behave a little like a puzzle take on bowling, but the challenges aren't creative or interesting enough to make this section of the game worthwhile. Even with these additional modes, however, Crazy Strike Bowling never elevates beyond being a game you need to be really drunk to find appealing, and then only in a multiplayer context (where, presumably, everyone's so drunk that being able to play Smash Bros. is now out of the equation). The presentation is nice enough, and there's an impressive range of different environments to play on. They range from a dimly-lit nightclub through to more exotic locales like the North Pole and ancient Egypt. It actually feels bad to be critical of the game because effort has clearly gone into the presentation, and it's clearly an attempt to make more of ten pin bowling than giving players a stock standard game of ten pin bowling. It's unfortunate that all that effort is offset by the frustration of being given a strike even though there's one pin standing. Or the weird "floating" effect that pins and the ball in the gutters or the pit (the area behind the pins) have. It's like the developers didn't bother with the laws of gravity there. 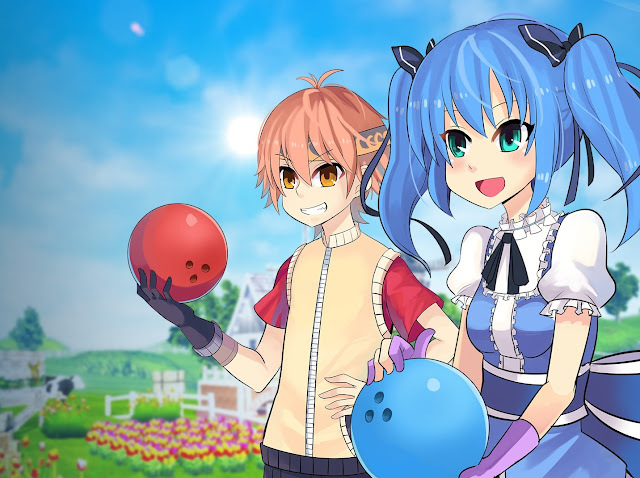 Crazy Strike Bowling was built in Unreal Engine, so it looks competent enough, but with far too many cut corners in the process it still comes across as very cheap indeed. Unfortunately it's difficult to see where the audience might be for this game. It's too much of a grind to work as a silly little character-driven sports game. It's too poor as a bowling simulation to work as a bowling game. 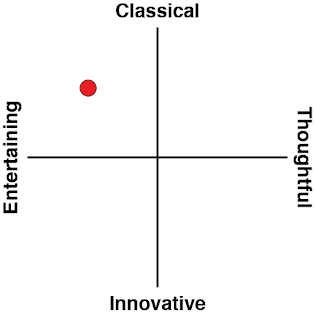 It's too lacking in gameplay modes to work as a minigame-driven take on bowling or as a party game. So what's left? Not much, other than the under-developed seeds of something that could have been really great.